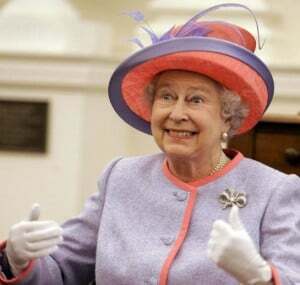 Celebrating 60 years of Her Majesty’s Reign, the Queen’s Diamond Jubilee this coming weekend (2nd – 5th June 2012) is certainly a national affair with many events happening all over the Commonwealth. Queen Elizabeth II came to the throne on the 6th February 1952 and her coronation took place on the 2nd June 1953. As a British monarch she has achieved the second longest reign so far in British history, only Queen Victoria has reigned longer. Her time as monarch has arguably seen Britain transgress through more social change than previous monarchs. The collapse of British manufacturing, the technological boom, the rise in power of corporate business and media, the increase of women in the workforce (and the decrease of men). She has seen 12 British Prime Ministers come to power and with the Commonwealth included that number expands to 156 prime ministers during her time. She has reigned through many wars, fire at her estate and been the focus of attention and criticism by the media during many royal hardships and downfalls. Yet her influence and impression upon the people of Britain is still resoundingly one of respect and admiration. Her appearance not only seeps through onto glazed china cups and plates, it appears before us almost every single day of our lives, on coins and stamps. Have you noticed that on coins the Queen faces right, and on stamps she faces left? In accordance with tradition monarchs fluctuate the coin design between facing left and right, Queen Elizabeth’s portrait on coins today is in keeping with this tradition, Charles, should he take to the throne will be a ‘left-facing’ monarch on his coins. As for the stamps, it has always been the design for the monarchs face point to the left as it would on a medal, the first design being taken from a medal showing Queen Victoria. BITE invites you to take a look back to 1952 and how things in Britain were then when Queen Elizabeth came to the throne, and how things are now in 2012, just bear in mind that while comparisons are fun, £1 in 1952 would be worth around £24.34 today. Or £1 today would be worth around 4p in 1952. We understand how British people love to have an endearing moan about “in my day”, hopefully the information posted below should give you some more ammunition to impress your fellow pub goers! Saturday 2nd June – Race day! The Queen will be attending the Epsom Derby, she’s always been a keen racing fan, but she never gives any inclination of her favourites! 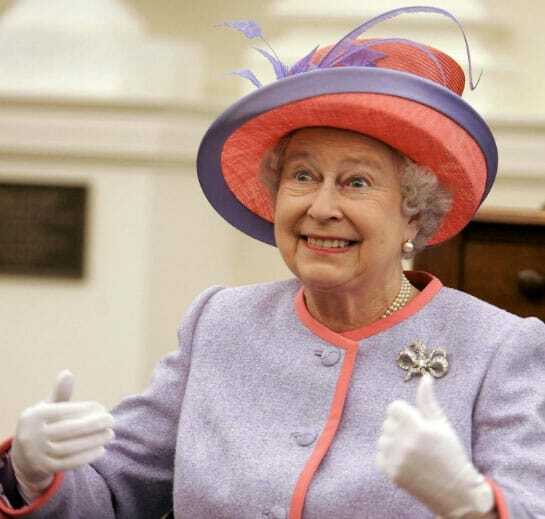 Sunday the 3rd June – The Big Jubilee Lunch! Up and down the country communities and neighbours will be taking part in the fourth annual “Big Lunch” a chance to have a knees up and boost the community spirit, raise the bunting and close the roads! The Thames River Pageant, due to start at 2pm. This historic event will see the Queen lead a precession of 1000+ ships up the River Thames, perhaps a nod to a time when Britain ruled the waves, the flotilla will resemble the disembark for Dunkirk in 1940 (but obviously with pomp and cheer) with many of the vessels never having experienced the unfamiliar waters of the Thames. Monday 4th June – Live music and beacons! Featuring some of the biggest names in music, the BBC have organised a live music concert at Buckingham Palace. Ticket sales has closed, but you can catch the spirit of the moment on big screens in St. Jame’s Park and The Mall. At 10pm the Queen herself will light the national beacon, part of our British tradition is a good old beacon lighting session for any national event, this year is no different with beacons being lit up and down the country to commemorate the Jubilee. Tuesday 5th June – Service of thanksgiving and carriage procession, more ships and fireworks! The Queen will attend a service of thanks giving at St. Paul’s Cathedral, featuring a choir service from school children around the UK. Later the royal family will travel from Westminster to Buckingham palace along the procession route to be greeted by thousands of waving Britons. Expect an RAF flyover too! In another historic moment, luxury cruise line Cunard will bring all three of their cruise ships into port in Southampton. The Queen Victoria, Queen Mary 2 and Queen Elizabeth will sail single-file into port along with a flotilla of fire-tugs and other vessels. Later there will be a Red Arrows display and fireworks to wave goodbye to ‘the three queens’ as they set off on routes around the world. If you have any Jubilee facts, Jubilee beers or would like to comment on this post you can do so in our comments section below, or by joining the conversation on our Facebook page. Cheers! The Smoking Ban, 5 years on, should it be relaxed? 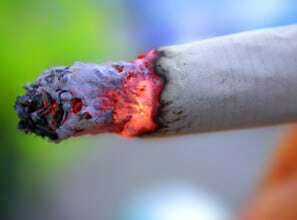 On 1st July 2007, a new British law came into effect that threatened to split a nation, The Smoking Ban. For non-smokers it was an opportunity to rediscover British Pubs, albeit, pubs still soaked in bleach and Febreze masking the smell of passive smoke, the non-smoker journeyed back into establishments previously deemed unfit for health in search of the British culture that they were so denied. For smokers it was time to relinquish the British Pub and take their business elsewhere, although there was essentially nowhere to go, so they tended to stay at home or congregate outside pub doorways herded into makeshift cages, roped off areas and 3-walled constructions. The smoking ban is an enormous topic, with many opinions and statistics, on-board an overtaxed industry riding a sea of economic down-turn. To condense the whole subject of the smoking ban 5 years on and the damage it may have caused the industry into just one blog post is not something that can be done easily, nor a task to be taken lightly. The resounding conclusion seems that there is almost no-demand for the return of smoking in pubs, breathe a sigh of fresh, clean aired, relief there non-smokers. The decision has come from both groups, smokers and non-smokers. Yet still, some talk and petition has been brought about to relax the ban. The social outcasting of ‘the smoker’ has seen small groups, committees and bands of men join together to try to re-evaluate the 2007 law and relax its position upon pub-goers. We’d like to know your opinion, please take the time to vote in our quick poll. Or join the conversation on our Facebook page.